Leverage can be defined as “The employment of an asset or source of funds for which the firm has to pay a Fixed Cost or Fixed Return,” This fixed cost or fixed return remains constant irrespective of the change in the volume of output or sales. It may be said that higher is the Degree of Leverage, Higher is the Risk and Return to the Owner. Leverage is basically of two types, Operating Leverage, and Financial Leverage. A combination of these two leverages is called Combined Leverage. The use of Long Term Fixed Interest-bearing Debt and Preference Share Capital along with Equity Share Capital is called as financial leverage. In simple term, Use of Debt with Equity is termed Financial Leverage. In an organization Debt plays the role of Leverage so as to increase the Earning Per Share available to the investors. 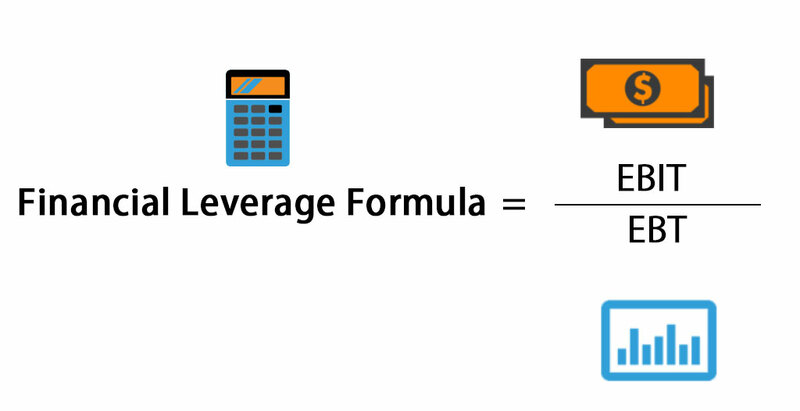 The degree of Financial Leverage Formula is used when Data of more than one Financial Year of a company is given. 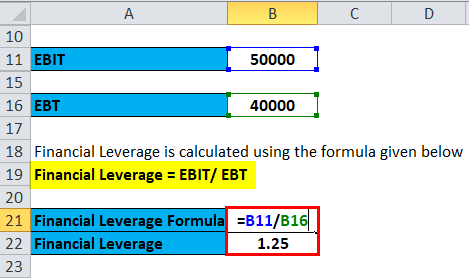 Let’s take an example to understand the calculation of Financial Leverage formula in a better manner. 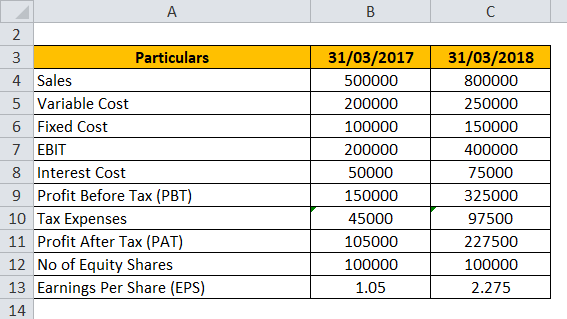 Following details are available of XYZ Ltd for the year ended 31/03/2018. 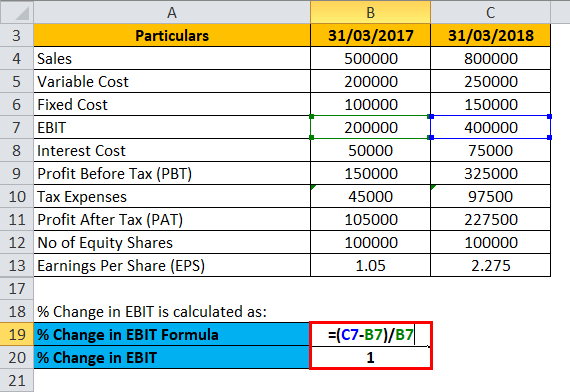 Calculate Financial Leverage of XYZ Ltd. 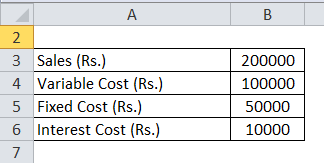 Calculate Degree of Financial Leverage for XYZ Ltd from the above data. Plan A: By issuing 4000 Equity Shares of Rs.100 each. Plan B: By issuing 1000 Equity Shares of Rs.100 each and balance of Rs.300000 by issuing 10% Debentures. Plan C: By issuing Rs.400000, 10% Debentures. 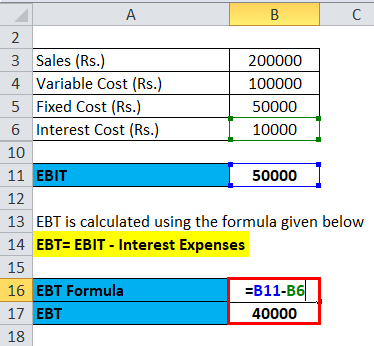 Calculate Financial Leverage under each of the three plans. 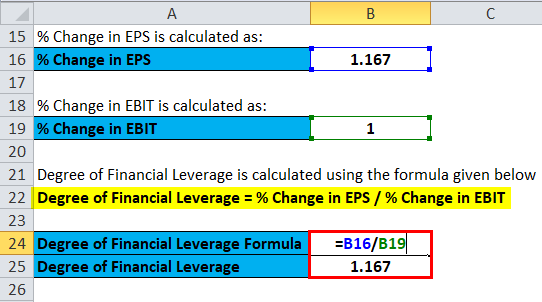 Financial Leverage Formula works on the saying that the higher the ratio of debt to equity, greater the return for the equity shareholders because with the higher proportion of debt in the capital structure of the company, more financing decisions are taken through debt financing and lesser weighted is given to equity funding, which results in lower no of issued share capital and correspondingly results in higher return for the shareholders. Thus Financial Leverage indicates the dependency of business on debt financing over equity finance for its financial decision making. The use of Long Term Fixed Interest Bearing Debt and Preference Share Capital along with Equity Share Capital is called as Financial Leverage. Financial Leverage is a ratio that measures the sensitivity of a company’s earnings per share (EPS) to the fluctuations in its operating income, because of the changes in its capital structure. The ratio shows that more the value of the degree of financial leverage, the more volatile is the EPS. Capital Structure cannot affect the total earnings of a firm but it can affect the share of earnings of equity shareholders. From example 3 above, it can be seen that whenever we have a higher degree of financial leverage, i.e. 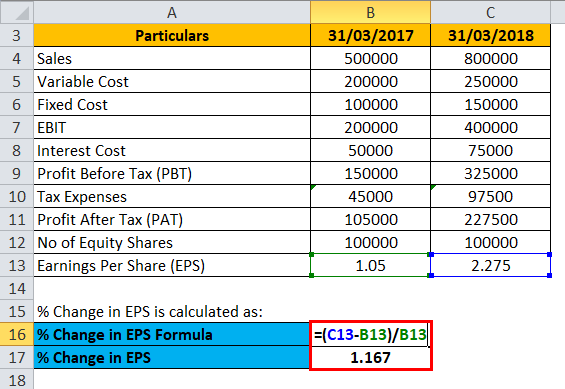 when we have a high amount of Debt in our capital structure, then this is going to give a leverage effect on the Earnings Per Share because in the example we can see that a company is taking the highest level of leverage in Plan C and by doing so the earnings per share is maximum in this case. The analysis of this Financial Leverage formula shows that the Financial Leverage has helped in improving the Earnings Per Share of Equity Shareholders. It helps to conclude that higher the ratio of Debt to Equity, the greater the return for the equity shareholders. You can use the following Financial Leverage Calculator. 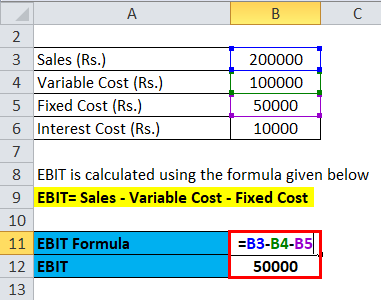 How to Calculate Cash Flow from Operations?